Unless you’ve never bought or sold a house before and have never looked at home listings or watched a single show about real estate (which is pretty hard these days), you have some semblance of an idea of how your home should look when you go to sell it. You probably also have a clue about how best to show off that home in photos (or, at least, you know the importance of showing off that home in photos), even if you personally lack the skill to take them yourself. But what happens when you ignore the rules? Does a hot market render them irrelevant? Is it OK to list a home for top dollar when the condition is more fixer-upper? The truth is that if you want good money for your home, you have to do a little work to get it “show ready.” Buyers expect to be able to walk in to a clean, decluttered home – at the very least. If it’s not updated, it better at least look like it’s move-in ready. So how do you explain this listing, then? We’ll leave the address and other identifying info out of it to protect the innocent. But a few things we can say: The home is brand-new to the market, and is no bargain, as you might think from looking at the photos; It’s priced at least $10,000 over what it should be, just based on comparables, which, for a house in the low $200,000s, is considerable. The photos were obviously taken by the homeowner, who clearly didn’t know how to best show off the property (although there were a couple snaps that were passable for an amateur) and who, it looks like, didn’t even care enough to try to get it right by: Getting the camera in focus, cleaning out cluttered spaces, and even making sure there weren’t random people in the frame of one shot. At least it will serve as a great example of “what not to do” when selling your home. We’d be remiss if we skipped over one of the main problems here before getting into the details. Don’t Take Your Own Listing Photos. Oh, were we screaming? Photos that were not professionally done stick out like, well, photos that weren’t professionally done. “You already know that a listing with pictures attracts a lot more attention than one without, but do you know how to take great pictures of a home? 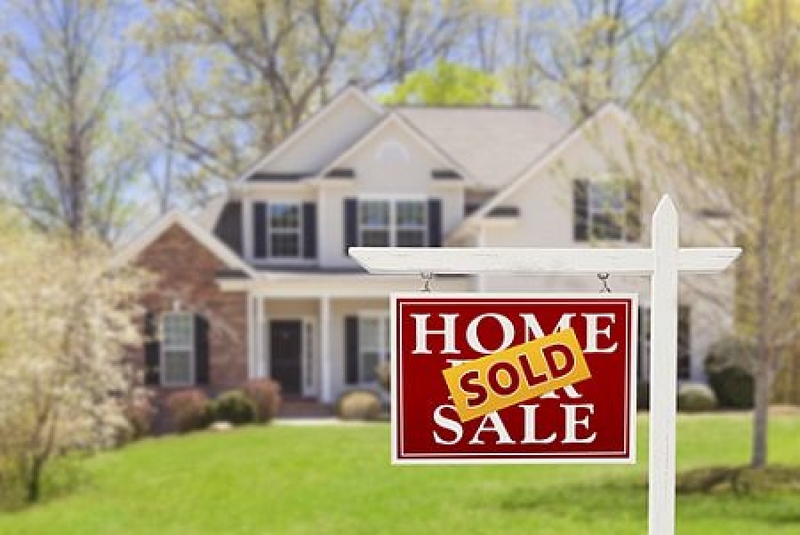 Whether you’re an agent or a person trying to sell his own home, it’s vital that you make a big first impression, and pictures are the best (and maybe only) opportunity that you will have to do just that,” said Inman. If you absolutely insist on taking your own photos, at least consult some basic rules. Most of which were broken in the listing in question. Note that the photo below was one of the better of the bunch. Don’t want to make any upgrades to your kitchen before you get the home on the market? That’ll cost you (literally). Even painting out those cabinets, a cheap and easy fix, would make a huge difference. But, if you’re not going to make changes to improve this key area, at least make the most basic effort to show it in its best light by removing as much clutter as you can. That means everything off your countertops. And your fridge. And the top of our fridge. There’s no reason that stuff can’t be put away for photos, and for showings. Basic staging rule #1. That printer on the kitchen counterop says: “We don’t have room for a home office.” Unplug. Put in closet. Problem solved. People like bedrooms – clean and tidy bedrooms that they can imagine their children sleeping and playing in. What, exactly, are we trying to show off here? The dead animal on the wall? The clutter on the floor? The glare from the windows? Perhaps the unique angle of the image that ignored all those basic listing photo rules? This shot shows none of the attributes of the room and only makes a potential buyer question the seller’s taste level—and gives them closet space concerns. Maybe check the photo to make sure nothing is blurry before posting it? Just a suggestion. Also, even if this picture was in focus, it still wouldn’t be effective. You’re not selling bedding, you’re selling a home. This image tells a potential buyer nothing about the size or condition of the room. Where do we even start here? From the weird angle that doesn’t show the space, to the missing light bulb, to the clutter in the shower/hanging robe, this is just all wrong. It goes without saying that showing off your outdoor space is important. A little effort to repaint the unkempt patio would have helped. At the very least, mow the yard, trim the bushes, and remove the ladder. An unkempt backyard will only make a potential buyer wonder what else needs attention, espeically if they’ve seen some questionable spaces indoors. Stalker alert! The straggler near the fence draws attention away from the other features of the yard – which, in this case, might not be so bad, really. Still…If you only have one photo of the yard or if the best of the bunch has a person in the frame, there’s still one thing you can do: Learn how to to use the camera’s crop feature.